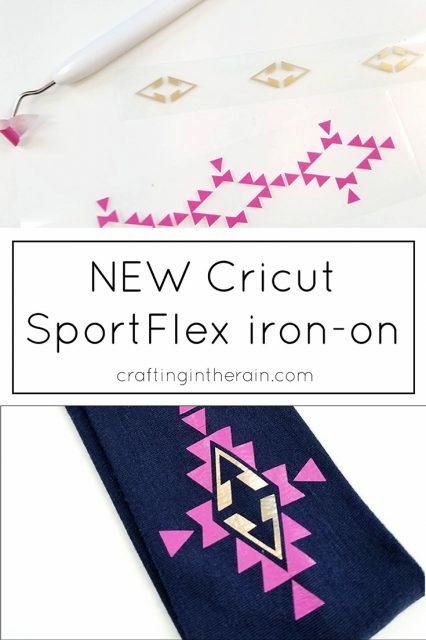 Here’s what you should know about the new Cricut SportFlex Iron On. 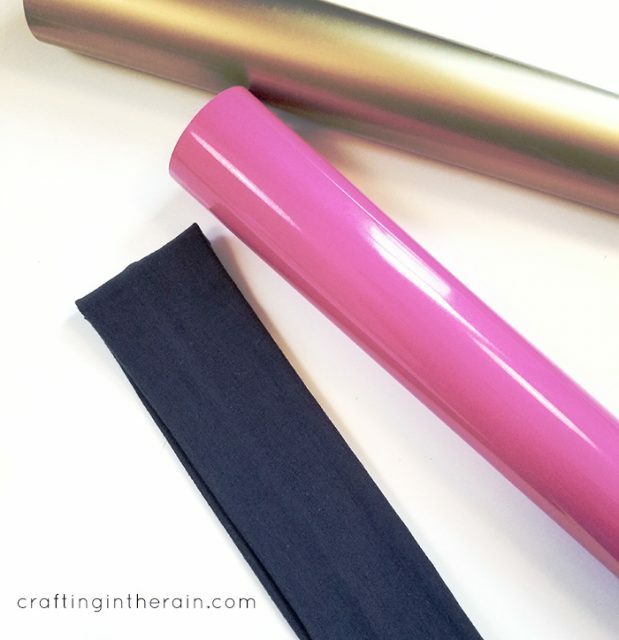 This vinyl is thin and lightweight, and stretchier than regular iron-on. It is perfect for putting on tech fabrics like polyester and nylon – all kinds of activewear! If you’ve ever tried putting regular iron-on on an exercise shirt, you’ve probably noticed that it can peel up and crack sometimes because the vinyl doesn’t have the same stretch as the fabric does. If you are going to overlap, or layer, the SportFlex Iron On, it’s recommended to only do two layers, and just with more SportFlex – don’t mix vinyl types. 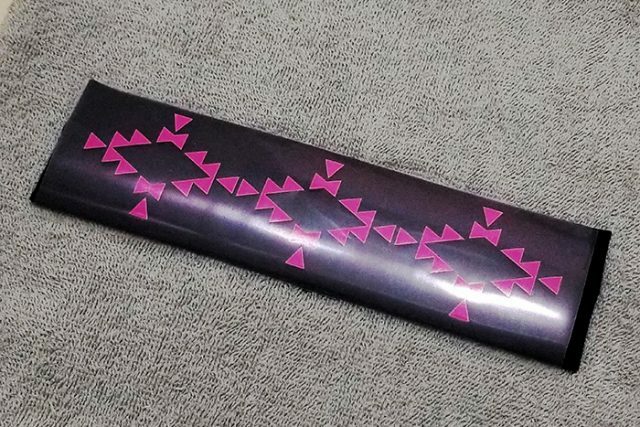 To try it out for myself, I bought a pack of fabric headbands and designed this pattern – open the Design Space file. As with all iron-on, place it shiny side down on the mat. I had to use a purple mat because it was slipping off my green mat. 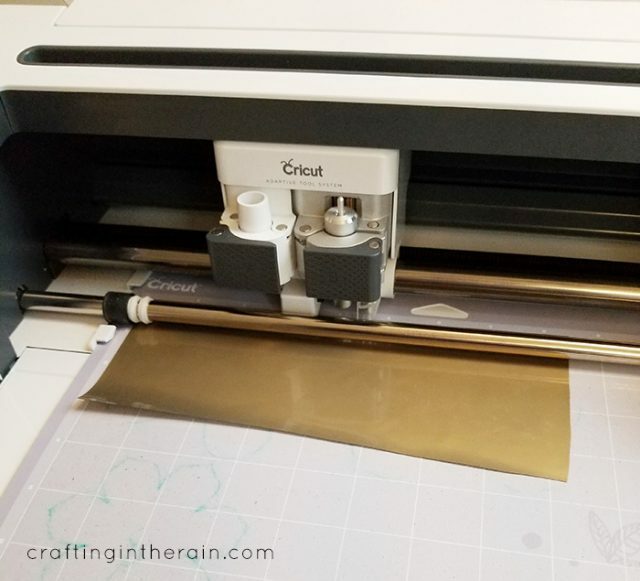 Also, remember to edit each mat to MIRROR the image before cutting, since you’re cutting the backside of the iron-on and will flip it over to apply. Weed out the extra iron-on with a weeding hook. Follow these instructions for applying SportFlex Iron On. Regular iron – Heat iron to wool setting. Preheat material for 5-10 seconds. Position the cut iron-on and press for 50 seconds on front, then flip over and press 15 seconds on back. Cold peel. 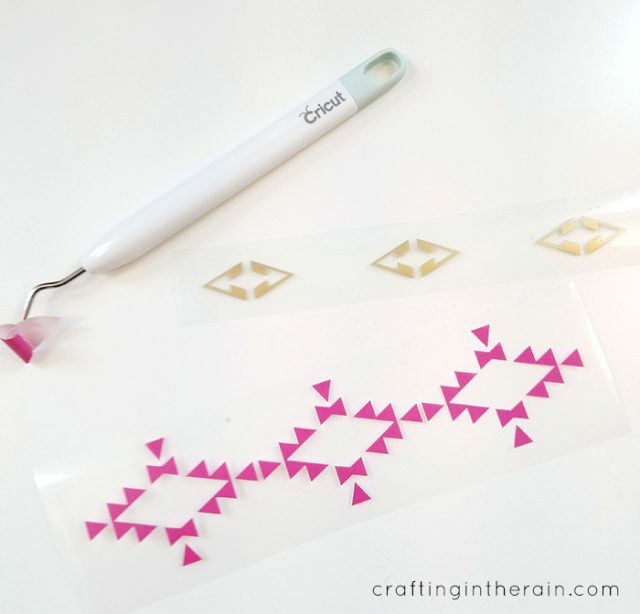 With this design, apply the outside pink part, cool, peel, and apply the inside gold part – but cover everything with the larger plastic piece so that all of the iron-on is covered and won’t be indirect contact with the iron. 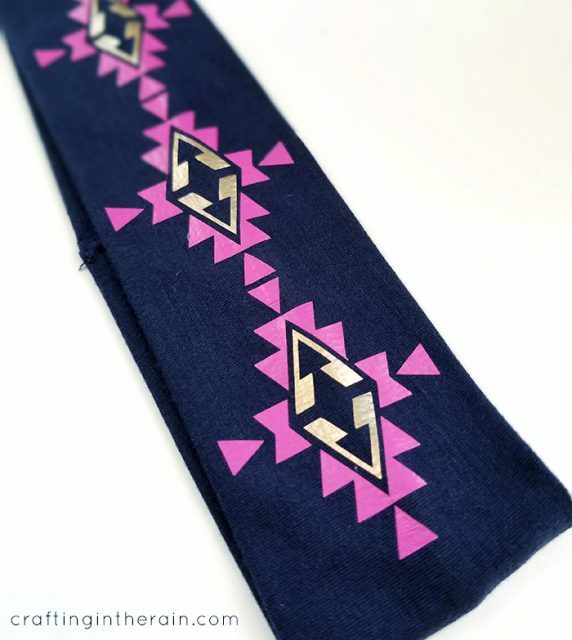 Now this headband is ready to wear! If you have applied this iron-on to a shirt, wait at least 24 hours before washing. Very cute and exactly the info I was looking for. Thank you!